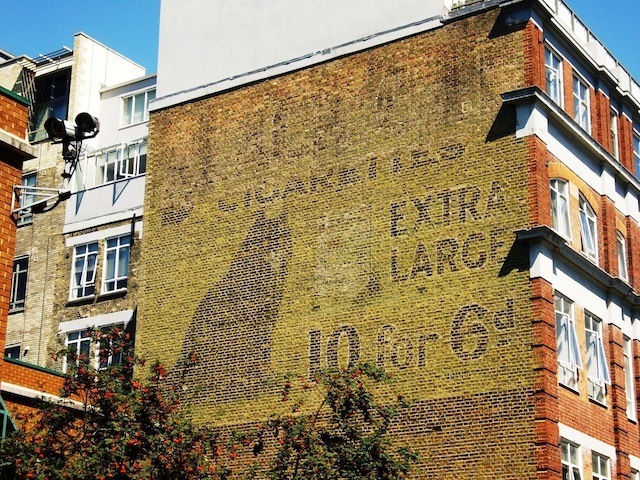 Sam Roberts is an expert on 'ghostsigns', the faded advertising of previous generations still visible on many of London's streets. Here, he selects 10 of his favourite pieces. 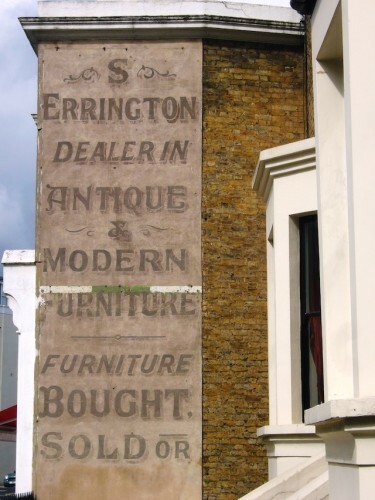 Selecting my Top 10 Ghostsigns from London is, for me, a bit like choosing items to keep on Desert Island Discs. There are so many great examples in the capital and for every one that’s included, others have to be left out. 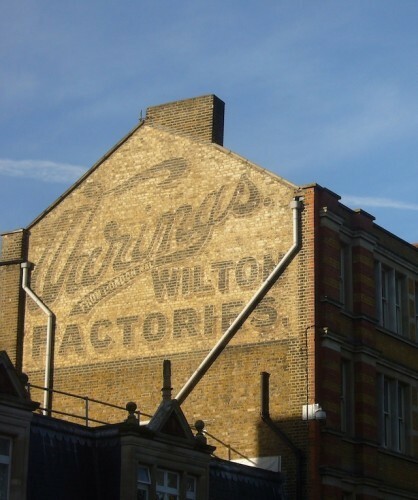 This is perhaps the most photographed ghostsign in the UK, based on my research for the History of Advertising Trust Ghostsigns Archive. It is situated for high visibility from the trains coming out of London Bridge station, with inspiring words to give all passengers a lift. 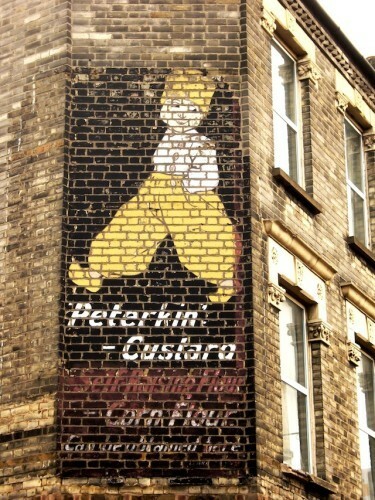 It was recently ‘bought’ (controversially) for £3m, perhaps also making it the most valuable ghostsign in the UK. Ghostsigns come and go from our streets and this recent ‘reveal’ in Hackney caught my eye immediately. 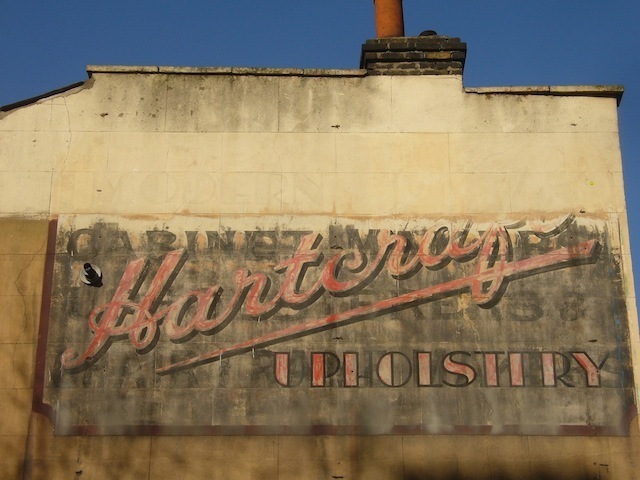 It offers a lovely combination of different lettering styles and a dash of intrigue as to what the full name of the business could be... A commenter on this article has since revealed that it says 'Hartcraft'. 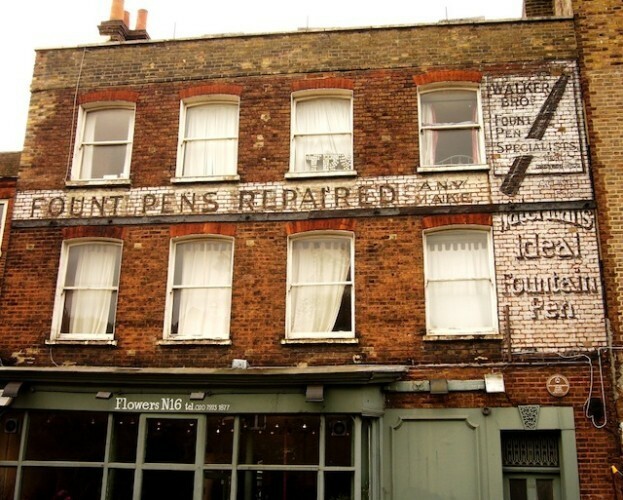 Hunting for ghostsigns in the capital is usually most fruitful outside of the centre. There is a slower rate of development in the suburbs, and less pressure on prime advertising spots. However, this is a rare survivor from Soho, very well preserved, with a lovely illustration of a butler or waiter in tails. The street featured on the sign, Little Crown Court, became Tisbury Court in the 1930s. Not the most visually inspiring inclusion, but one of the best bits of copy in London, if not the whole country. ‘For your throat’s sake smoke’ is a grim reminder of a nation duped into believing that tobacco and smoking were healthy pursuits. ‘Now you see me, now you don’t’ is the story of this sign, which has been covered and uncovered by a billboard a number of times in the past six years. It is once again covered, inadvertently protecting this rare example of gold lettering, produced by a company called Silversigns. 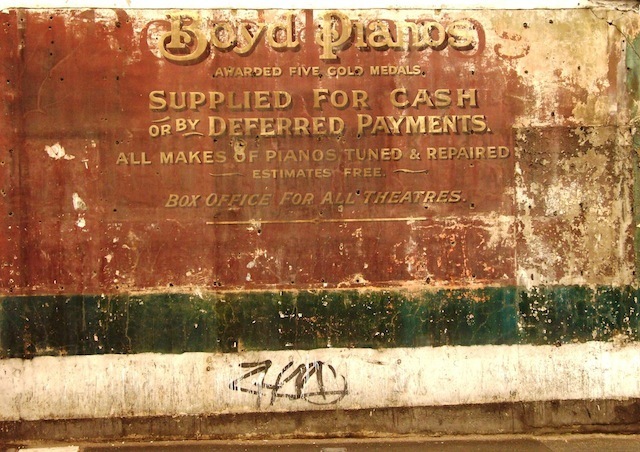 This is the first ghostsign I ever noticed, back in 2006, and it therefore represents the start of my interest in the topic. I still rate it highly, largely because it speaks of a time when people would get their pens repaired. It is one of the signs featured on my walking tours and has recently received local listed status. Simply for the diversity and beauty of the lettering. This is one that I had seen many photographs of, but nothing compares to visiting and seeing it ‘in the flesh’. This is another one that you have to see ‘in person’ and has one of the most characteristic illustrations you’ll find anywhere in the world. Peterkin was a failed mill run by Joseph Rank, later of Rank Films fame, and it’s fitting that this sign always reminds me of my first TV appearance. Once again the diversity and beauty of the lettering makes this one a favourite, but the drama of its size and location on the building is what brings it tantalisingly close to top spot. It’s not one you’d easily find, and I have been known to take a slight detour on my bicycle just to have another look. 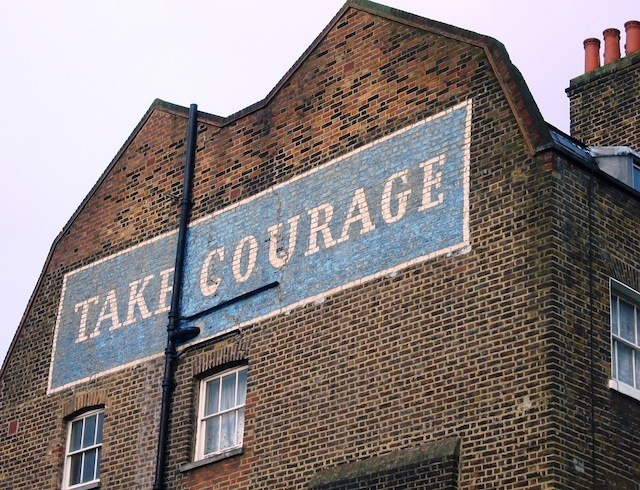 This is possibly the biggest ghostsign in London, but it’s not just the size that makes it my number one. The picture of the cat, modelled on that once found in the Carreras tobacco shop, is striking, especially with those eyes juxtaposed with the CCTV cameras. 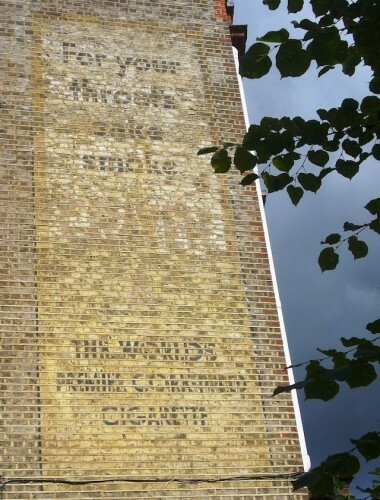 The price information adds to the historical value of the sign, which tells of the time when Clerkenwell was a centre of the global tobacco industry. Carreras moved their manufacturing to Greater London House in Mornington Crescent, famous for its Art Deco design and its own Egyptian-style black cats, perhaps a nod to this beauty. I hope that these signs inspire you to start looking up and noticing the history on the walls around you. I’m always looking for new treasures and would love to hear of your discoveries. Be careful though, as I’ve found that ghostsign hunting can get quite addictive! 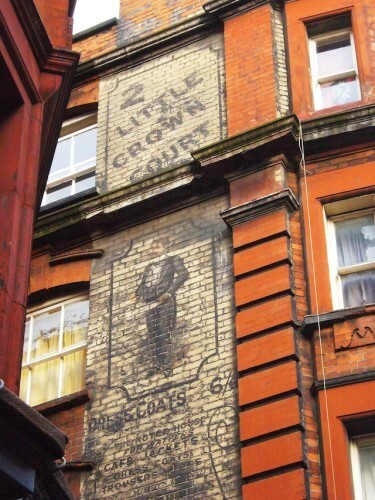 Sam Roberts's walking tours can be booked via the Ghostsigns website where the blog can also be found. All photography copyright Sam Roberts/Ghostsigns.